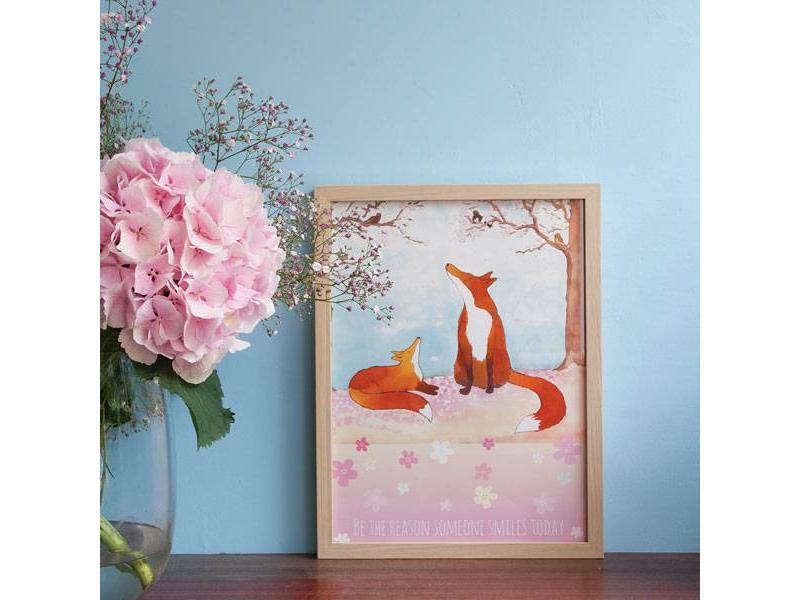 Two lovely foxes between blossoming trees make up this cute poster to adorn any childs room. "Be the reason someone smiles today". In soft blue hues and pink pastel tones. Foxes is an A3 (29,7 bij 42cm) size poster. 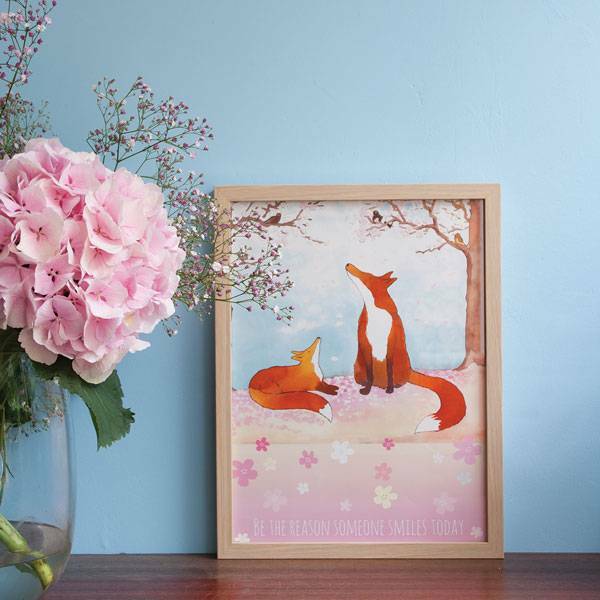 It's printed on 170 grams matte paper and is sold WITHOUT frame.